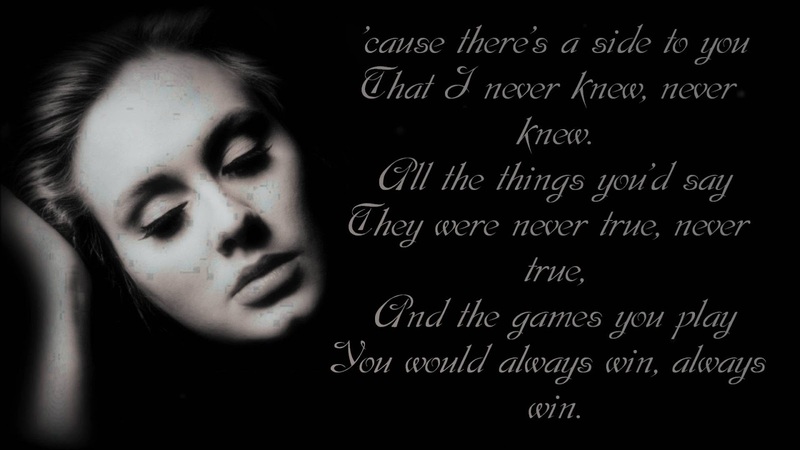 One of my favorite songs to hum to these days is Rolling in The Deep by Adele. Because the song sounded so good, I was curious to hear more songs from this singer. I didn't know she had a lot of popular songs already. I'm not much of a music person so I was amazed that almost all her songs that I listened too were also good. Here's one that I loved and one of the reasons I like it was because at that time, we we're experiencing stormy weather and I couldn't go out. So I was loving the idea of Set Fire to The Rain because the heavy rains and strong winds were ruining all my plans for going out and seeing my friends. It's currently the season of storms here in our place, so we don't have much choice but to stay home and try to stay safe. Of course, I also loved this song because the concept of setting fire to rain was very unique and quite unconventional. This song could be the background to a romantic story that ends up in heart break which can make you think it's that type of song. But come to think of it, we can be heart broken in many ways and not just in love. In this perspective, one can say that this song talks about our frustrations and disappointments in general. Ah, but I'm sure most of the listeners of this song will prefer the theme that involves romance gone bad. After all, aren't most of us a sucker for romantic expressions? For me, Adele's voice just adds to the realism of the scenarios that pop up in your head while you listen to her sing the lyrics to this song. She sounds so honest, like the whole song is really an expression of her real feelings and experiences. Of course, she might actually have experienced these sad memories and even had the resolve to get over her losses, which makes this song even more expressive of real-life situations. Even though this song may reminisce sad events, at least the resolve to have a more satisfactory situation is there. So I still consider this song as having a happy ending. If you become a better person after the sad realizations, then I would say that the story behind this song ends quite positively.